DownStream Technologies is a progressive software company focused on helping high-tech engineering organizations automate the PCB Release Process. DST delivers solutions that allow engineering and manufacturing teams to work together to transition Printed Circuit Boards (PCB) designs into successful, physical products. DownStream's solutions redefine how engineering professionals post process PCB designs to create and distribute all the deliverables required for a complete PCB assembly release package. CAM350 provides verification, optimization, and output generation to efficiently drive PCB fabrication. BluePrint for Printed Circuit Boards works with CAM350 and PCB CAD systems to help quickly create comprehensive electronic drawings to drive PCB fabrication, assembly, and inspection processes. BluePrint for Printed Circuit Boards is a revolutionary new document authoring tool, developed in the style of Microsoft Office that quickly creates electronic drawings to drive PCB fabrication and assembly. 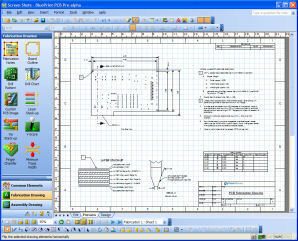 BluePrint “knows” it is creating a PCB document and imports PCB CAD data to automatically create and intelligently link PCB Views, details, document notes, external documents, URLs and multi-media content. The result is an electronic document which better articulates the instructions for successful fabrication, assembly and inspection of printed circuit boards and which contains all the data necessary to build, view and archive the final product. This new, state-of-the-art solution creates PCB documentation quickly and easily and replaces the more error-prone, manual approach currently employed. Documentation created with BluePrint is more detailed, can be changed instantly and will lead to faster and more accurate new product introduction. .
CAM350 is a highly customizable and scalable solution that can be targeted at both the engineering and PCB fabrication communities. CAM350 supports the Microsoft Windows and NT operating systems through either node locked or networked configurations. CAM350 is a complete PCB fabrication flow used by PCB designers and CAM engineers. 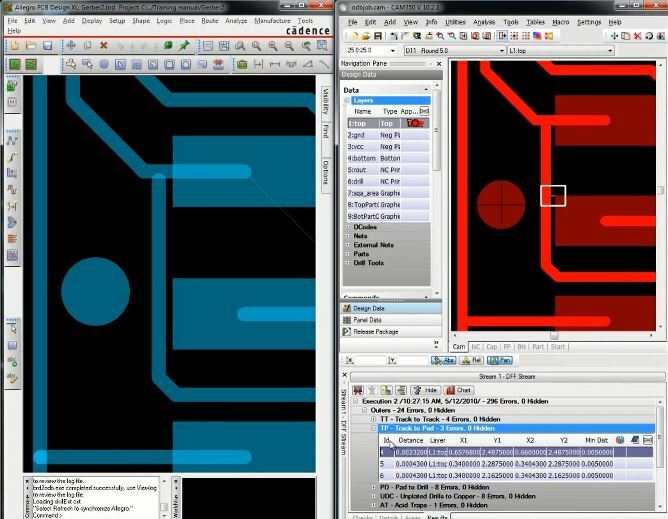 CAM350 for PCB Designers mitigates PCB fabrication errors early in the design process with robust Design for Fabrication (DFF) verification. CAM350 for CAM Engineers leverages design data to drive and optimize the fabrication process through manufacturing engineering, sales, etching, and NC drill/mill processes to ensure higher board yields in shorter time frames. Unlike low-end CAM tools that lack functionality to handle today’s complex designs or high-end tools that are extremely expensive to own and maintain, CAM350 provides superior price/performance value in an easy-to-use product suite delivering fast, accurate and deep CAM functionality.